Designing closet storage can become your greatest friend or greatest enemy. A daunting task at times if you seem confused or unable to select the right storage option. Closet storage ideas are endless. Beautiful closet storage can organize your space as well as add elegance and charm to your bedrooms. Today we bring you 10 unique closet storage ideas that will increase space value as well as help you design a well maintained closet. Add a chic and functional built in closet storage to your bedroom and maximise your storage with customised display shelves. A dressing island with drawers and a shoe wall can be a bonus addition. Walk in closets are simple yet an effective way to declutter a space. 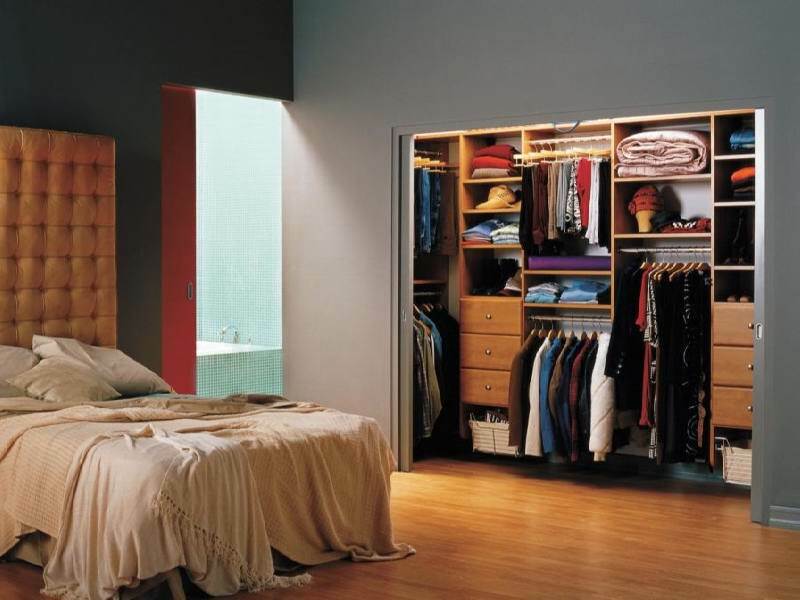 U-shaped closets can give a touch of contemporary feel to your room. Add an impressive modern closet storage idea with wide space and open shelves that can incorporate pull out baskets and pull out hangers for ease and convenience. Give your room a minimalistic feeling with stunning wall mounted cabinet shelves, an ultimate choice in small areas. This closet storage idea brings out a flexible storage method as well as give out a refined and uniformed look. An excellent alternative for nurseries where you can utilize it as baby closet shelves. An oak closet storage idea with ample of drawers and open shelves, is an ideal choice to store your delicate items. Sleek drawers, baskets and corner carousels can definitely help you store your belongings in an orderly manner. Add it to your bedroom for a contemporary warm touch and classy look. If you live a busy day to day life and need those wrinkle free attires within reach, then hanging closet systems are a great option. It gives plenty of hanging space to keep your clothes in good shape. An effective and creative way of utilizing your limited space is to design a built in closet storage with amalgamation of shelves, drawers and hanging systems. It can indeed create a neat and chic dressing zone. Alternatively, designing a mini built in closet in a similar manner with baby closet shelves can give a mannerly look to your child’s room which can always be within their reach. If you are aiming for a traditional closet storage in your bedroom then opt for a reach-in closet storage that will utilize less space and increase functionality at the same time. Traditional wooden master closets are always a stunner. Add a beautiful and sturdy wooden built in closet with ample shelves for an artful display. It can be a practical solution to be used as baby closet shelves. 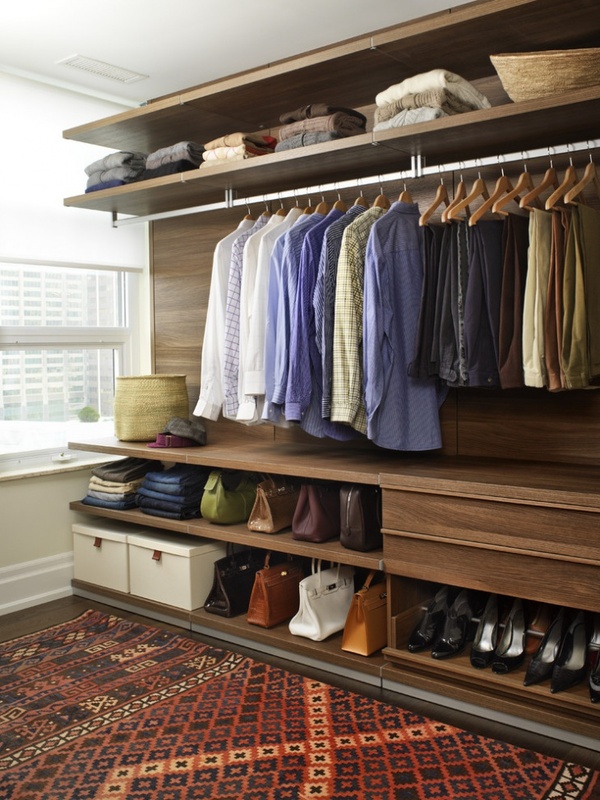 Walk in closets doesn’t necessarily require a large space. Create a mini walk-in closet according to your needs with a symmetrical division that can give an equal storage space to you and your spouse. 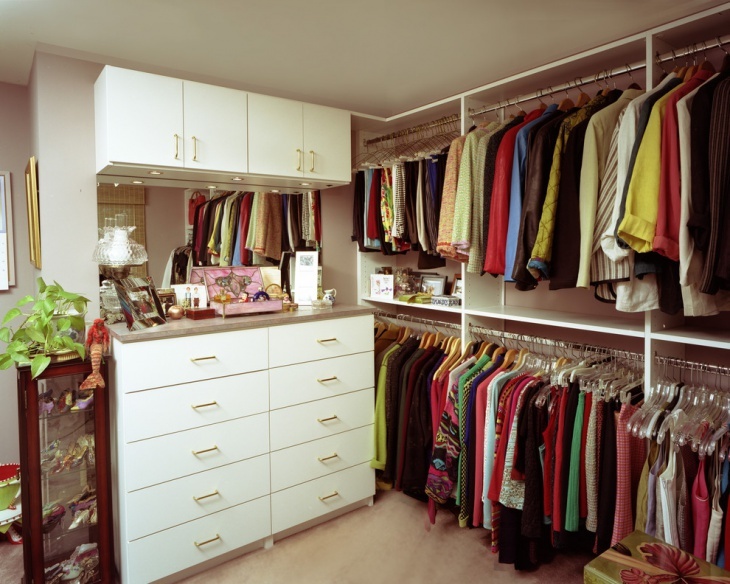 Do consider these DIY tips with the concept ‘less is more’ when organizing your closets. Add ‘hanging’ hooks on door sides or on side walls to maximise the hanging space for little items. Shelf and drawer dividers, pull out baskets and mini plastic containers can be added essentials especially when designing baby closet shelves. 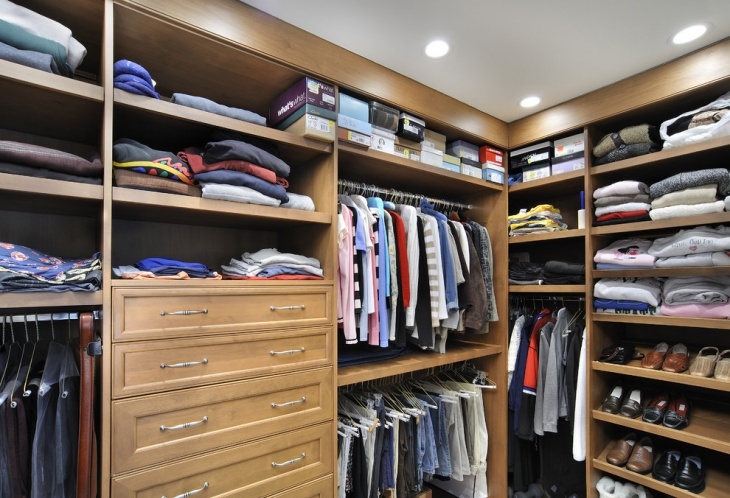 Built in closet storage requires adequate lighting for better functionality and visual appeal. Do not forget to add one of those ‘hidden ladders’ to reach out for the farther stored items. Practical solution is to keep the daily essentials within reach, stacked up in front shelves or slim hangers. There is a great flexibility in designing closet storage but it should be done with some care and consideration keeping in mind both aesthetics and functionality to suit your needs and maximise your space.